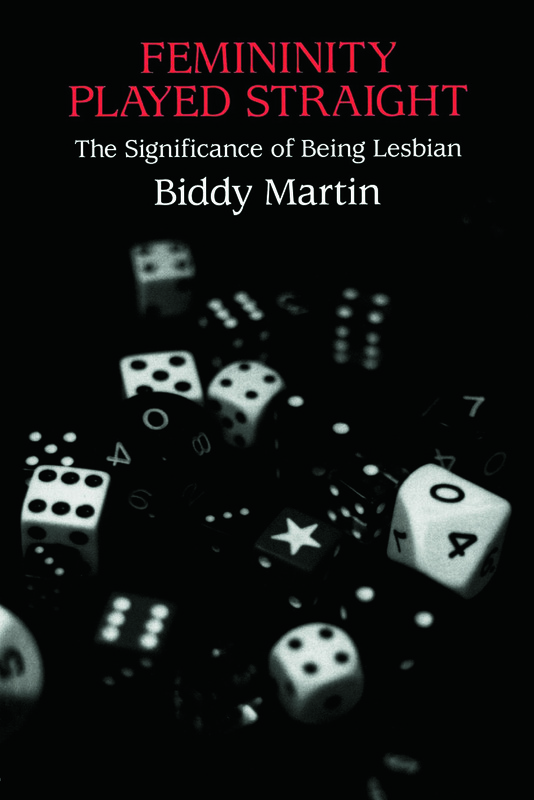 In Femininity Played Straight, Biddy Martin traces the changing relations of lesbianism and feminist theory from the late 1970s to the present. These sparkling essays argue for accounts of sexuality, gender and subjectivity that make lesbianism intelligible and important, for lesbians and non-lesbians alike. Moving between theoretical and autobiographical modes, Biddy Martin brings different kinds of writing to bear upon one another. At a theoretical level, her work takes issue with postmodern theory, defending instead the role of psychoanalytic criticism. She argues for the continued validity of critical modes that do not abandon the unconscious in seeking to understand the relation of subjectivity to language. In so doing, she addresses the work of writers, thinkers and activists as varied as Mary Daly, Michel Foucault, Adrienne Rich, Gayle Rubin, Minnie Bruce Pratt, Sigmund Freud, Eve Kosofsky Sedgwick, Audre Lorde, Judith Butler, and Joan Copjec.